Pilot Lights. 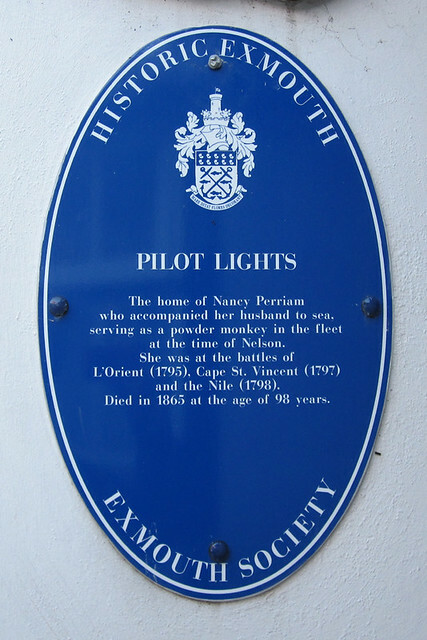 The home of Nancy Perriam who accompanied her husband to sea, serving as a powder monkey in the fleet at the time of Nelson. She was at the battles of L'Orient (1795), Cape St. Vincent (1797) and the Nile (1798). Died in 1865 at the age of 98 years.